Almost a third of the way into the 2016/17 Bundesliga season, the top half of the table is positively crammed with clubs unfamiliar to such heady heights. Old reliables FC Bayern München may be leading the way, with Borussia Dortmund not too far off the pace in fifth, but who would have expected to see RB Leipzig and Hertha Berlin second and fourth respectively, with 1. FC Köln and Eintracht Frankfurt also not far off a Champions League qualifying place? Fancy an Official Fantasy Bundesliga bargain? Kerem Demirbay has an in-game value of 3.7M! And then there is TSG 1899 Hoffenheim: Third going into Matchday 11, just four points shy of the summit. Quite a turnaround for a team who started the calendar year rock-bottom of the standings and looking a more than likely candidate for relegation. But then came the February appointment of Julian Nagelsmann as coach and from there, the only direction has been up. Promoted from the U-19s ahead of schedule, having been earmarked for the main job in the summer, Nagelsmann took up the reins amid a flurry of headlines focused on the fact that, at just 28, he was the youngest contracted head coach in Bundesliga history; and also pretty much the polar opposite to his predecessor, old-school veteran Huub Stevens, who had stepped down for health reasons. The change took effect, in spectacular style, as Nagelsmann's bold attacking brand of football hauled Hoffenheim clear of the drop zone. Now, the bar has evidently been reset again. 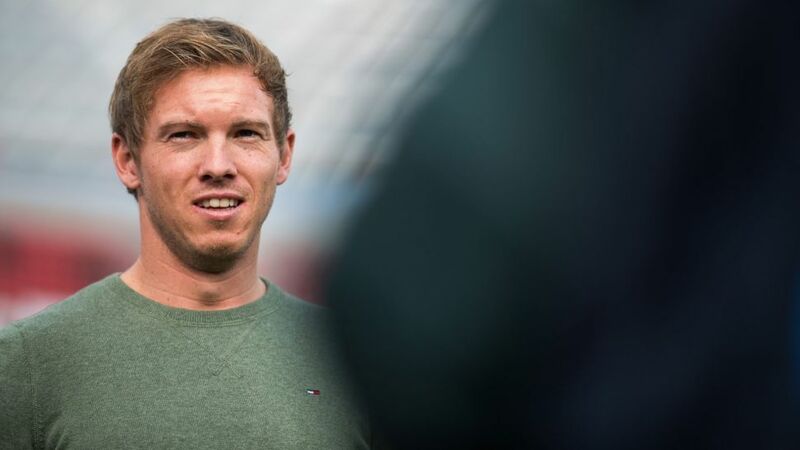 The widespread scepticism which greeted Nagelsmann's appointment stood in stark contrast to the confidence within the club that he was the right man for the job. “Julian's a young man, but he's no novice coach any more,” said sporting director Alexander Rosen: “Check his CV and you'll see he's been learning his trade for a decade. Knowledge is one aspect of it – you also need the character and charisma.” The now-29-year-old is thus far proving up to scratch on all counts. They demonstrated it to good effect in Munich recently, departing the Allianz Arena with a point in the bag. After the match, Nagelsmann was asked about Hoffenheim's prospects of maintaining their place in the upper reaches of the table through to the end of the campaign. “Our rivals won't be going rigid with fear quite yet,” he responded with characteristic congeniality. Not fear, perhaps – but with a newfound respect, for sure.